Today, I’m excited to be reviewing the newest version of Guitar Pro – Guitar Pro 7. I’ve mentioned this product a bunch of times in some of my most popular articles such as top 100+ easy guitar songs and how to play guitar (an easy beginner’s guide). It’s a product that I’ve used countless times and one that I believe has contributed largely to my own journey in learning how to play the guitar. In this Guitar Pro 7 review, I’m going to go over what’s new in the latest release, how to use it, and why I think it’s quite possibly the best tool a guitarist can have. Guitar Pro is a software program that allows your computer to play the tabs or notation of a song thanks to its built-in MIDI editor. Just like a regular guitar tab, numbers are laid out on 6 lines corresponding to the frets and strings of a guitar. Traditionally, if you were to learn a song via tablature you would need to listen to a portion of the song, then look at the tabs and try to replicate what you just listened to. This can get quite repetitive and time-consuming. Moreover, if the tab is complex, it could be difficult to read the tab or notation, therefore leaving room for error. However, with a piece of software like Guitar Pro, you can simply download a Guitar Pro song file, open it, and hear the tabs played directly from within your Guitar Pro interface. This allows you to hear exactly what you should be playing and how you should be playing it. How Do I use Guitar Pro 7? First, download a Guitar Pro song file from a trusted GP tab website (more on where to find Guitar Pro tabs in the next section). Next, you can open that file within Guitar Pro to display all the tabs. You’ll then see the song’s tab and notation (if you have this enabled) along with a few play options at the top and the track selection at the bottom. This view may vary for you depending on whether you have the sidebar options enabled in the top left-hand corner. You can then press play on the file and start listening to how the tabs should sound. The needle will move with the tabs to show you what is being played at any given time. As far as using Guitar Pro 7 as a tool to learn how to play a particular song, that’s about all you need to know! Of course, there are tons of options you can tweak and when getting into more complex things such as music notation there is much more to discover, however for the majority of users, the process is pretty simple. Where To Find Guitar Pro Tabs? There are a few really good place to find Guitar Pro tabs. Although Guitar Pro tabs aren’t as plentiful as regular tabs, they’re certainly growing at a rapid pace. I personally much prefer learning a song using a Guitar Pro tab (especially for more complex tunes) due to the fact that I can hear exactly how the tab should sound. 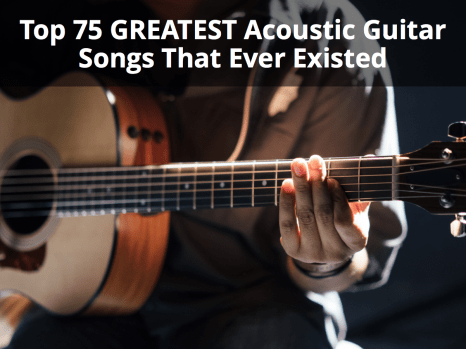 You’ll even notice that in all of my guitar song collection articles, I have a Guitar Pro tab column that links to any GP files that I could find for each particular song. You’ll notice that many of these sites have songs that correspond to older versions of Guitar Pro (e.g. .gp3 or .gp4). These will still work fine in Guitar Pro 7 although they might sound a little outdated. Whenever possible, choose the latest Guitar Pro tab version so that you can take advantage of the latest features and sounds that GP has to offer. There are tons of new features built directly into Guitar Pro 7 making it without a doubt, in my opinion, their best release yet. I’ll go over a few of the most notable updates, however, if you’d like to see the full list of improvements, check out their What’s New page. User-friendly and intuitive interface – As soon as you open a tab in Guitar Pro everything is laid out in an easy-to-comprehend way. Right off the bat, you’ve got a good idea of where to start and how to work your way around the basics. High resolution and better performance – Guitar Pro 7 has come a long way from its previous versions in terms of display quality and performance. Loading the app happens almost instantaneously, and everything with the program is crystal clear for retina display screens. The ability to connect your guitar to Guitar Pro – One of the coolest things, in my opinion, about the new update is having the ability to plug your guitar into your computer and taking advantage of the software’s guitar amps and effects. If you want to play in silence while having a variety of sounds at your disposal, simply plug in your guitar and throw on some headphones. A collection of new sounds – Besides just adding a bunch of new guitar amps and effects, Guitar Pro 7 also comes with a variety of new sounds including instruments such as the dobro, flamenco, manouche, and 7-string nylon guitars, the electric sitar, fretless bass, jazz double bass, and more. New notation elements – New notation elements have also been added to Guitar Pro 7 making it easier for music scorers to more accurately replicate the sound of a particular song. Notation now includes golpe, pick scrape, and dead slap (my personal favorite). 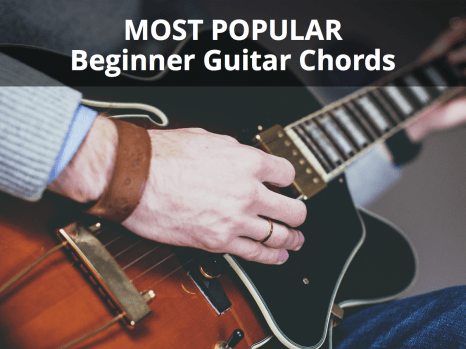 Who Can Benefit From Guitar Pro? If you’re a guitarist you can benefit from Guitar Pro 7 in one way or another. Guitar Pro not only contains a wealth of information that can help guide you in learning or composing a new song but it also makes it incredibly easy to do so. More specifically, I thought I’d showcase how exactly Guitar Pro can be beneficial depending on what you want to achieve. Below, I’ve outlined 3 scenarios where Guitar Pro is beneficial and why. As I’ve said before, Guitar Pro is a great tool for learning how to play songs and guitar in general. I believe this piece of software has substantially improved my guitar skills and allowed me to learn songs in half the time it would take with a regular tab or by ear. as well as have access to a wide collection of cool guitar sounds. Maybe you aren’t interested in learning a new song, but would rather actually score a song for others to learn from. Whether you score a piece of music using notation or tabs, Guitar Pro 7 makes this process extremely efficient. As a music scorer, you’ll be spending most of your time looking at the left-side panel (Guitar Pro calls it the Edition Palette). With this comprehensive collection of symbols, you’ll be able to replicate even some of the most complicated songs (check out Guitar Pro’s sample clip of Eruption below). Furthermore, the score-display engine in Guitar Pro 7 has been entirely rewritten for even more realistic, professional sheet music. Learn more about writing a score with Guitar Pro 7 from their official documentation under section 3/A/1. Lastly, for those who want to compose a piece of music digitally, Guitar Pro is an awesome choice. With its wide selection of notation symbols, you can replicate just about any sound you want. It’ll take some time getting used to the interface and understanding what each notation symbol does but once you do, the possibilities are endless. Check out section 3/A/6 of Guitar Pro’s documentation to learn more about what each symbol does. Furthermore, once you’ve composed a piece of music with Guitar Pro, you’ll never forget how to play it because you’ll already have the tabs/notation handy! This makes for a great tool for musicians who are on the road and don’t have an instrument or recording software readily available but still want to create something. Before concluding this Guitar Pro 7 review, I thought it might be useful to showcase the quality of Guitar Pro 7’s new and improved sound engine. This software has truly come a long way in the world of using MIDI to replicate real instruments. When I first started using Guitar Pro, the sounds were fairly clunky and although it got the job done, there was certainly lots of room for improvement. In this software release, they’ve definitely raised the bar in terms of audio quality. Take a listen through a few of the Guitar Pro tabbed songs below and see for yourself. Whether you’re learning how to play new songs, want to score a piece of music, or want to compose a piece of music without any physical instruments, Guitar Pro is the best way to do it. 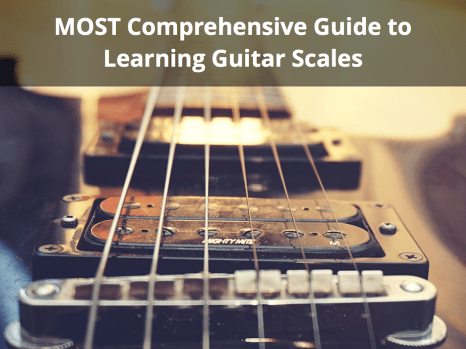 As I’ve said a few times in this post, I’ve been using Guitar Pro for years and to this day can still confidently say that it’s one of my favorite tools to use. 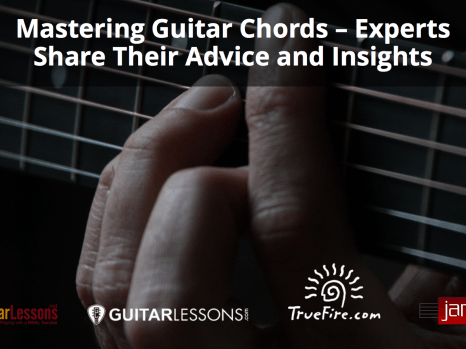 If you want to learn more about Guitar Pro, be sure to check them out. You won’t be sorry you did. Overall, Guitar Pro 7 is an amazing tool for guitarists and musicians in general. If you want to fast track your song learning skills, your composition skills, or even your theory skills, Guitar Pro 7 is the answer. At only $75, it's priced lower than many guitar amp simulators alone. I can confidently say that with the 12+ years I've been playing guitar, Guitar Pro has been the tool that has stuck with me the longest and I don't see any sign of that changing.